Approx. 100 silver plated 5mm OD jump rings, 3.4mm inner diameter, 20 gauge, open and unsoldered. 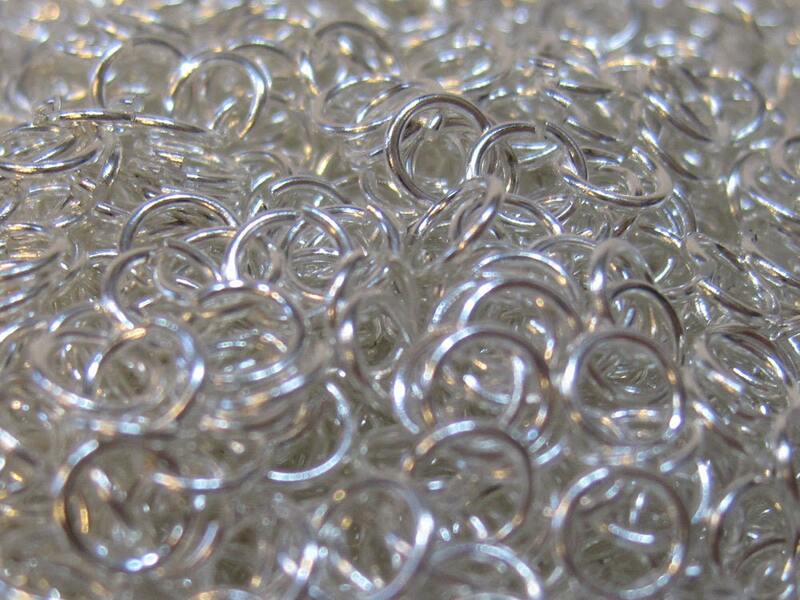 Perfect for chainmaille, charm bracelets and more! Plated brass and easy to manipulate. About 3.5 grams per pkg/approx 50 pcs. These are perfect for what I'm making. Items were as pictured/describes and shipping was super fast...I will be back! These are not quite as heavy as I had hoped, but they will work for certain projects. Thank you!